My 24 hours started and ended in the same bustling place, on Rundle Street in downtown Adelaide, but it was filled to the brim in between. I met with Matt Guy, Marketing Executive NZ and The Americas at South Australian Tourism Commission for dinner at Sosta Argentinean Kitchen. The specialty here is steak so I went for the filet, with a delicious mushroom and wine sauce. 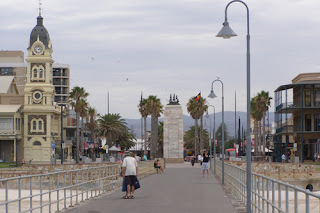 Matt filled me in on all that was still to come on my South Australian trip, from the wine to the beaches to the variety of food, as we were experiencing right there on Rundle Street, one of the main thoroughfares of Adelaide. 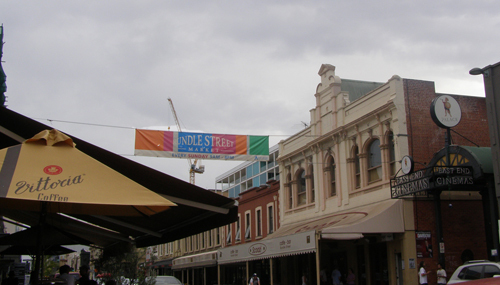 Although the city is small enough that you can easily walk around, trams and buses run frequently throughout this area too, where the eateries are sprinkled with stores before you actually hit the “Rundle Mall,” an indoor and outdoor complex that houses anything you could possibly need within a few pedestrian blocks. 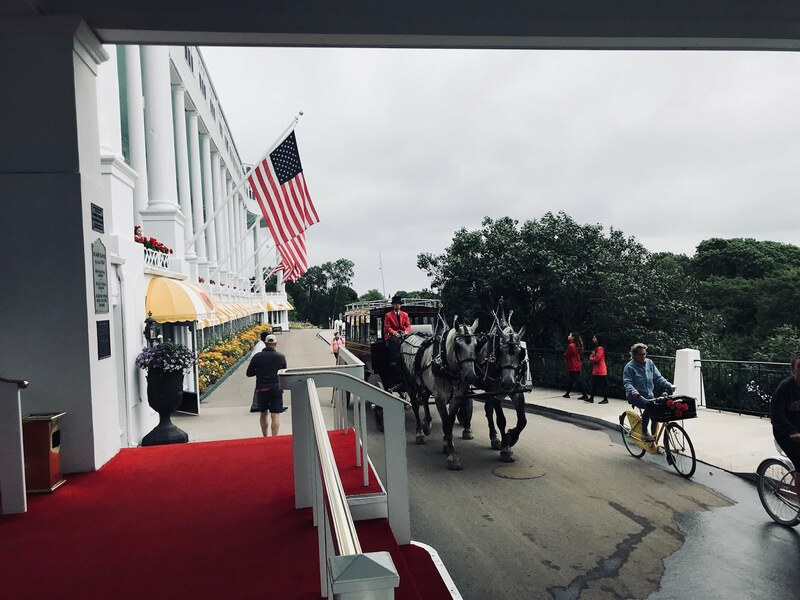 In the morning I had breakfast at the Crowne Plaza and was ready to experience even more as Mary Ann Kennedy from A Taste of South Australia was my guide for the day themed around wine and chocolate – two of my favorite things. 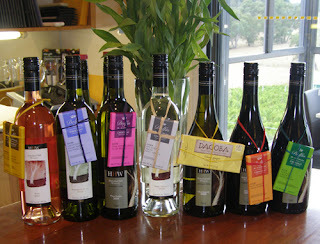 The first stop was at Hahndorf Hill Winery for the ChocoVino Experience. Lots of wineries pair chocolate and wine, but I’ve never seen and tasted anything like this. 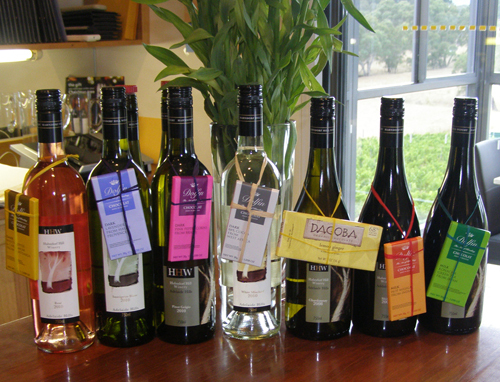 Tastings at Hahndorf Hill are as much about the chocolate as the wine and they encourage you to taste them both with all your senses. 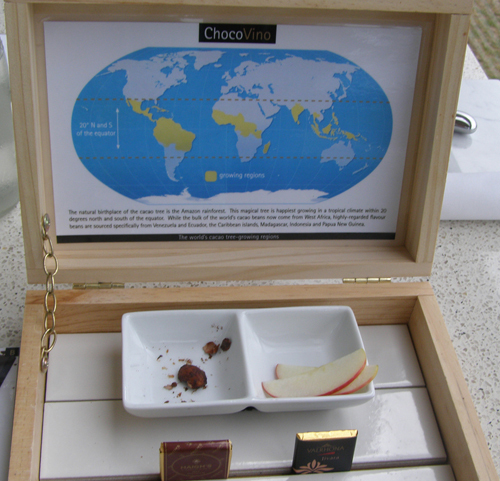 You can follow one of their full experiences, or just pair your favorite wine with their suggested chocolate. Or, you can put together something in between. All of this includes unique wine blends from a South African owner/winemaker who likes Austrian grapes! We went for the Discover Chocolate & Wine experience which took us through from the cacao bean to milk and dark chocolates, paired with Chardonnay and Shiraz. We went through every step of the taste of the chocolate the way you learn how to taste wine. Neither item is ordinary here, with gourmet chocolate that includes Dolfin Sauveurs du Monde, Hot Malsala and Earl Gray Tea bars; Dagoba Organic in Lemon Giner; Coppeneur in Menauvava Milk; and one of my favorites, Dolf Belgium Dark Chocolate with Lavendar, paired with Hahndorf Hill Sauvignon Blanc, a light version of this white wine, with just enough fruit to compliment the chocolate. Among the wines, I suggest trying their Rose, a blend of Austrian grapes that gives you a ripe strawberry taste with plenty of fruit sweetness in virtually no residual sugar. The Grüner Veltliner was sold out so I didn’t get to try it, but the Pinot Grigio was full of floral, pineapple and other tropical fruit. I could have sampled the combinations there all day, but Mary Ann and I were off to see my first Australian beach. 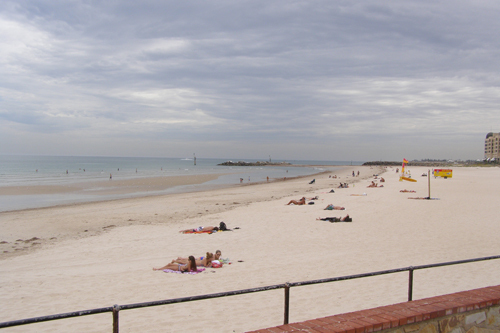 It’s hard to believe I made it through two weeks in Australia without seeing a beach. 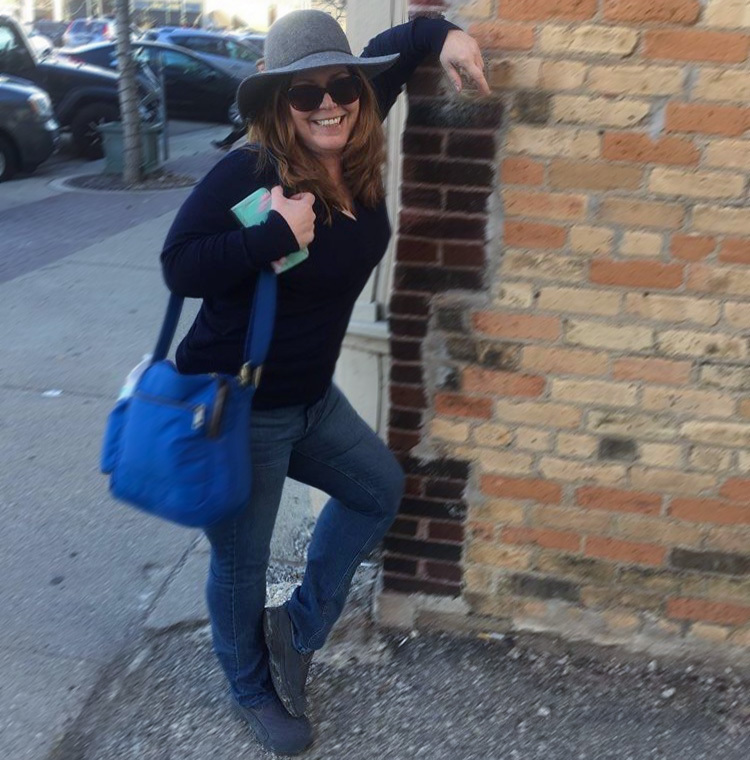 I was anxious to get to one and it wasn’t quite what I expected. 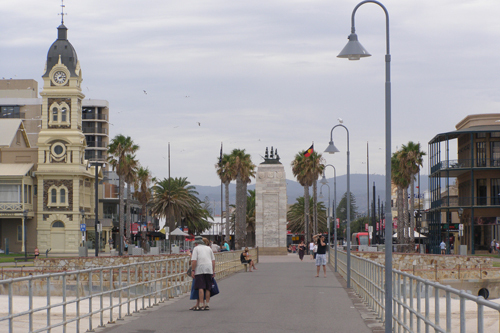 Glenelg is a popular beach destination in Adelaide, complete with shops, restaurants, white sand and an amusement park. It’s not far from Port Adelaide, where the cruise ships dock, and the Southern Ocean is a place where you have a chance to spot dolphins (we didn’t) between the marinas. 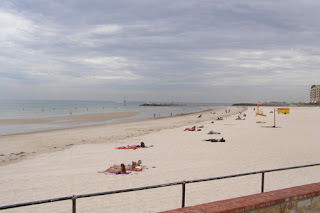 I wished I had more time to put my feet in the sand, however, I knew this trip wasn’t about sunbathing, it was about discovering places in Australia where that was an option you could do. 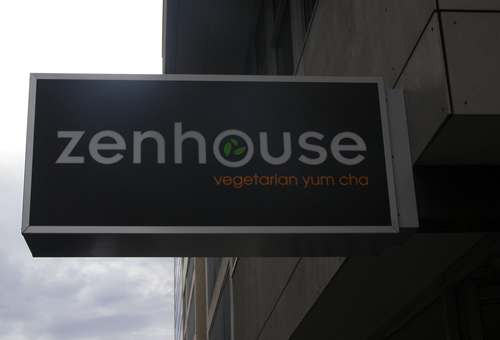 After a delicious lunch at Zenhouse, a vegetarian place that specializes in Asian offerings, we met up with Mark Gleeson of Chef’s Media Tours. Mark told me about his chocolate and olive oil business at the Central Market, one of Adelaide’s biggest attractions and a place to find fresh produce, meat and baked goods in abundance. He turned out to be another great option for anyone looking for the foodie life in Adelaide. 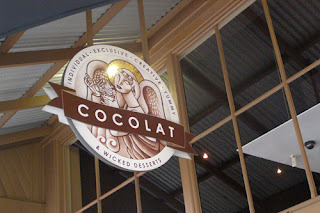 Before Mary Ann left me for the day, we stopped at Cocolat, a dessert (mostly chocolate) café on Rundle Street. We ended up sharing an assortment of their delicious cakes and I became intrigued by the owner, Terena Downs, an American who has started this chain in South Australia. I made an appointment with her later in the week to hear (and taste) more before heading back to the Crowne Plaza for some rest because the next day was the one I had been waiting for since arriving in Australia – I was heading to Kangaroo Island. For me I think the thing I enjoy most about living in Adelaide is the convenience of everything being close by (at least where I live) shops, recreation, etc. Visas are associated with the request for permission to enter (or exit) a country. The diversity of food and drinking establishments across the city makes for some interesting outings.